Hannah Anderson (L) and James Lee DiMaggio were found at a campsite in northern Idaho Aug. 10 after a search involving law enforcement authorities in six states. The sister of murder and arson suspect James DiMaggio hopes the family of teenage kidnap victim Hannah Anderson will agree to a DNA test to rule out paternity rumors a family spokesperson said. Lora Robinson, DiMaggio’s only sister, is not contesting her brother’s decision to leave thousands of dollars to a grandparent of the Lakeside teenager. She wants to know more about the relationship between her brother and Hannah in the hopes it may offer answers into what caused the deaths of Christina Anderson, 44, and her 8-year-old son Ethan. “There’s an odd similarity between Hannah and her appearance and Lora’s appearance,” DiMaggio family spokesperson Andrew Spanswick explained. “[DiMaggio] knew the family for over 20 years. It’s possible he could have been the father of either child." 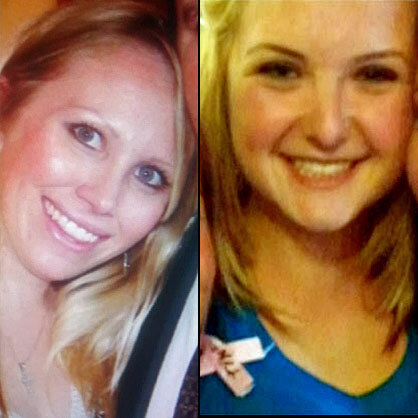 Robinson (pictured in comparison photo with Hannah below right) requested samples of DiMaggio’s hair in the hopes of determining paternity, Spanswick said. A family spokesperson said in a statement Tuesday night that Brett and Christina "Tina" Anderson had not met DiMaggio until they were already expecting a child. "Brett and Tina Anderson did not meet Mr. DiMaggio until the sixth month of Tina's pregnancy with Hannah. Brett Anderson's DNA was used to identify the body of his dead son Ethan Anderson," the statement said. Spanswick questions why Brett Anderson is returning to Tennessee and Hannah plans to stay in California. Instead, the teenager will stay with a grandmother in Lakeside where she attends El Capitan High School. “What’s going on with that family that the father can’t keep control of his own daughter,” Spanswick asked. “How does that point to the fact that Jim had to step in and act as the father figure all this time." Several Anderson family members have said they considered DiMaggio an uncle figure to Hannah. He lived with the teenager’s grandmother Bernice Anderson for several years while he saved up money to buy a home. DiMaggio designated Bernice Anderson as the beneficiary of his $112,000 life insurance policy in 2011. Once Hannah was recovered by federal agents, Bernice Anderson described DiMaggio as a nice guy and said she loved him. “I keep asking myself and all of us, all of us who knew him and loved him are saying the same thing. How does this happen? What happened? What caused this to happen? We don’t know and if we ever will know we’re not sure,” she said after learning of DiMaggio's death. Spanswick said the choice was made because DiMaggio shared concerns with family members about the ability of Brett and Christina Anderson to manage the money. Robinson also wants answers to what led to the death of her brother in a shootout with FBI on Aug. 10. The family has not seen the rifle DiMaggio was said to be carrying when he was shot by federal agents, according to the family spokesperson. Neither the FBI nor the San Diego County Sheriff’s Department have contacted Lora to go over the findings in the case, he added. Robinson feels a responsibility to clear her brother’s name. “The whole thing just is sort of spiraling out of control continually. She’s looking for more closure from the investigators,” Spanswick said. Spanswick also believes that James DiMaggio is being treated unfairly in the media, where television analysts have poured over details from search warrants — and jumped to conclusions he believes are false. For Lora, whose kids played with Ethan and who was a longtime friend of Christina Anderson, she’s looking for closure in the deaths as well. “We find it very strange that nobody’s talking about the double homicide. It’s like it just got washed under the table and everybody’s just concerned about Hannah who doesn’t appear to really be a victim of anything more than the trauma of a double homicide,” Spanswick said. As for the letters listed as evidence seized by deputies from DiMaggio’s Boulevard property on search warrants, Spanswick said those should be considered personal affects and returned to the family. Sheriff’s department spokesperson Jan Caldwell described the letters as those written by Hannah to DiMaggio. While the suspect’s sister believes they may hold some insight into what happened to her brother, deputies say they will not be made public. “It’s an investigation we can’t discuss in detail. We don’t discuss any of our investigations in detail. 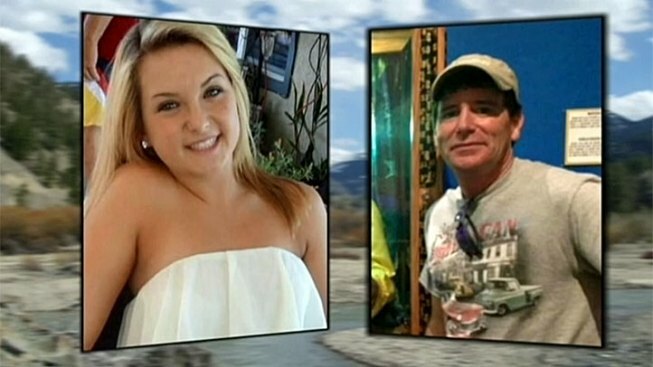 Hannah is a minor and Hannah was a victim,” said Caldwell. The San Diego County medical examiner has reported Christina Anderson died of blunt trauma to the head. Homicide investigators have not released details on the cause of Ethan’s death. According to search warrants, detectives uncovered explosives and incendiary devices inside the log-cabin style home DiMaggio owned in Boulevard along with a map, handwritten letters and military-style ammo. Firefighters were called out to the home on Sunday, Aug. 4 for a house fire that had spread to a detached 3-car garage. When they stumbled on a body in the rubble, they called in homicide investigators. Investigators revealed Tuesday that the 40-year-old DiMaggio and Hannah Anderson were captured on the cameras at a highway checkpoint traveling westbound on Old Highway 8 at 12:10 a.m. Sunday, Aug. 4. “We knew he had about a 20-hour head start on us at that point,” sheriff’s spokesperson Caldwell told NBC 7. On Saturday, Aug. 10, Hannah Anderson was recovered by federal agents at a campsite near Morehead Lake in northern Idaho. DiMaggio was shot "at least" five times according to a coroner’s report. The FBI said it is weeks away from releasing details on the shooting. In the days after Hannah Anderson returned home to Lakeside, she spoke publicly about her abductor and said he "deserved what he got." She also appeared at a fundraiser held at the Boll Weevil restaurant on Aug.15 and at a carwash held Aug. 17. At the latter, she spoke to an NBC 7 camera saying "thank you" to those supporting her and her family. Sheriff Bill Gore has said publicly that Hannah Anderson was a victim in the kidnapping and in the murder of her family members. A public memorial service for Christina and Ethan Anderson is scheduled for Saturday, Aug. 24 in Santee.